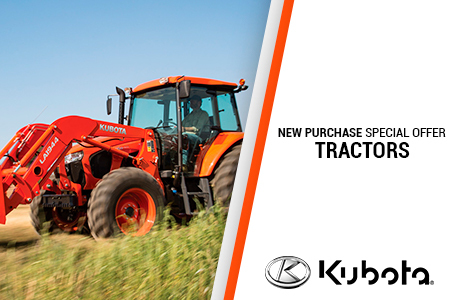 The M60 Series tractors are designed for the farmer with 10-75 acres who require more comfort and better features than those found in your typical standard tractor. The M60 Series tractors offer optimal comfort with a deluxe seat, armrests, wide area floor mat and ergonomic controls built into a console for a more refined finish. 3-Point Hitch: The Category I/II 3-point hitches provide fast and simple attachment of rear-mounted implements with telescopic lower link ends, standard on all models, which further shows how Kubota is a step above. Hydraulics: The hydraulics on the M60 Series are state-of-the-art. External hydraulic cylinders improve the lifting power and offer easier maintenance. 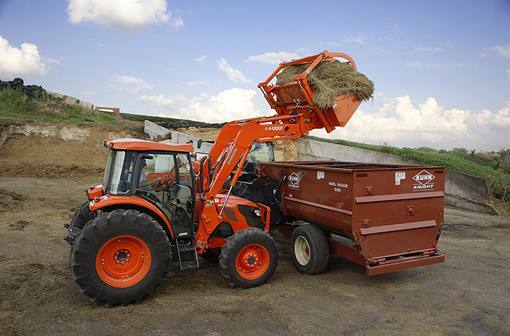 The front loader cycle times are short, increasing productivity and facilitating operation. One (SCD) hydraulic remote valve is standard, with the option to add up to 2 more, plus an optional flow control valve to control the oil flow volume. Hydraulic Independent PTO: Pulling, lifting, cutting or baling - the hydraulic independent PTO makes your toughest work easier. Self-modulation engagement with an Electric PTO Switch means implements like a rear cutter engage smoothly. The PTO brake engages when the clutch is shut off and securely holds the PTO shaft. The PTO clutch can be hydraulically engaged and disengaged on the go. This means mowing, operating hay equipment or spraying orchards are all made more efficient. 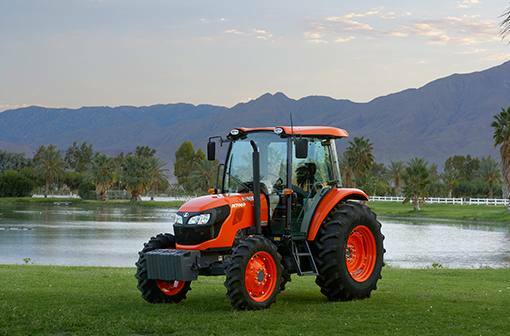 Great Maneuverability: The M60 Series also has the time tested Kubota bevel gear front axle, which allows for low maintenance, exceptional turning radius and better ground clearance when compared to traditional u-joint front axles. The bevel-gear front axle provides the M60 Series with greater all-around maneuverability, whether you're in the tight confines of a barnyard or straddling tall windrows in a hay field. The limited slip differential on the front and differential lock on the rear are standard features, offering increased stability and traction on the challenging ground conditions. Ultra Grand Cab: Stay comfortable year-round in the Ultra Grand Cab - with curved glass and curved upper windshield for more visibility. For even more comfort, the optional Air Ride seat offers exceptional seat suspension to make sure whatever path you're on is smooth. Operator Comfort: The M60 Series operator's station provides optimal comfort with a deluxe seat, armrests, wide area rubber floor mat and ergonomic controls built into a console for a more refined finish. The M60 Series also has deluxe features such as a hydraulic shuttle and fully synchronized main shift transmission that allows for clutchless forward and reverse direction changes and easy on the go shifting.